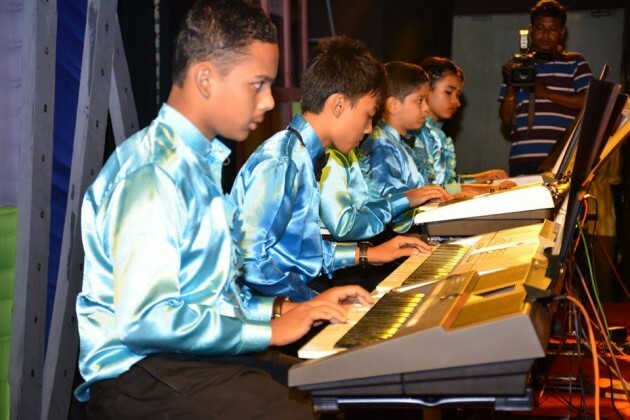 The state’s leading music institute Piano Kids celebrated its 4th anniversary with an evening of exhilarating piano music performed by a bunch of talented youngstars at the ITA Centre for Performing Arts, Machkhowa on May 1. The combined musical energy and concentration of around 100 young pianists created a breathtaking spectacle for the audiences. 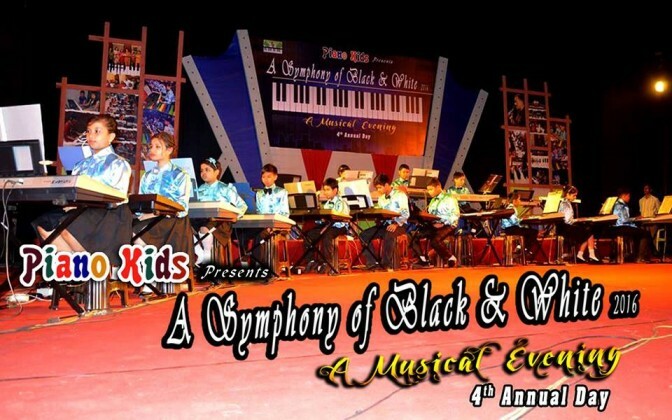 Entitled ‘A Symphony of Black & White 2016’, the musical program was designed and directed by renowned piano maestro Kushal Krishna Dev Goswami. The evening kicked off with the devotional tune by Mohapurush Srimanta Sankardev and Madhabdev – ‘Muktito Nispriha Jitu’, rendered by child artistes Gangotri Goswami, Harshita Majumdar and Moorchana Goswami, and set to music by the institute students. The tone is immediately set for a splendid evening of fabulous music. 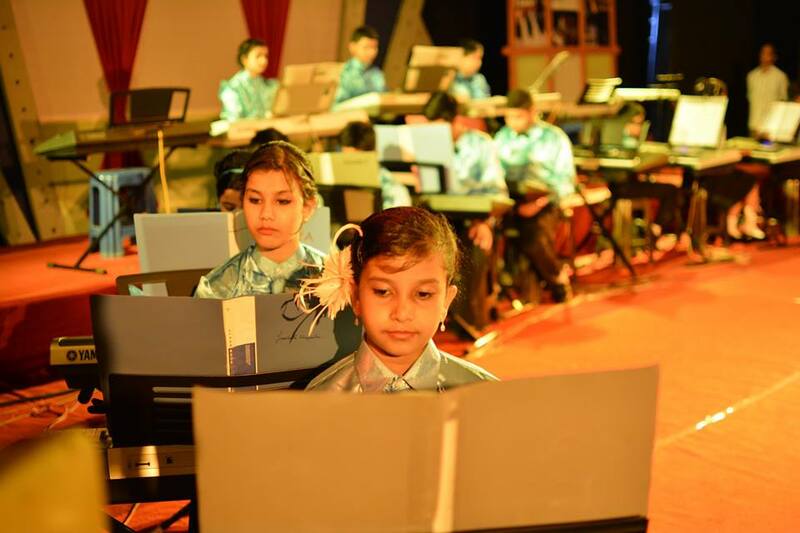 The music encompassed several genres but the students played them with admirable ease and comfort, making the evening a feast for music lovers. 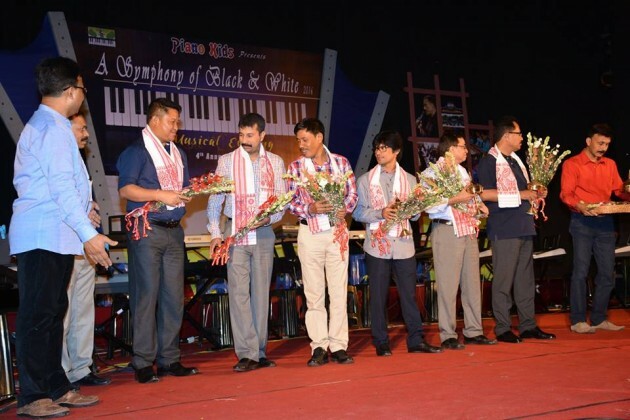 It has been a tradition with Piano Kids to mix Assamese classics with timeless western and contemporary compositions in all its varied forms since its very inception. The evening on that day was no different. 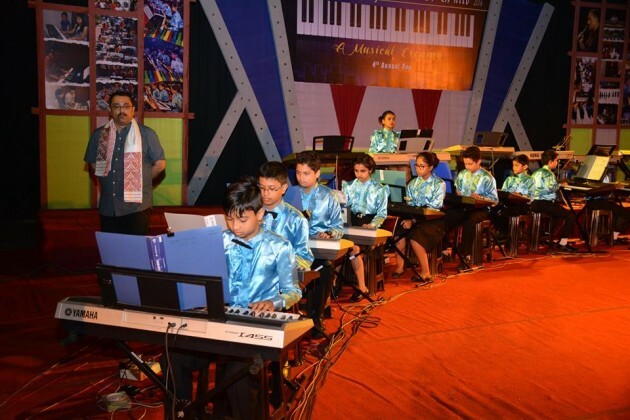 A number of talented youngsters in their colourful attires displayed their skill and range in evergreen numbers like Dr Bhupen Hazarika’s ‘Manuhe Manuhor Babe’, Khagen Mahanta’s ‘Ma Aami Sadiyaloi Jamei’, ‘Jayanta Hazarika’s ‘Mayamoi Rupali Jonak’, besides songs associated with Raas. They also enthralled the packed crowd by playing a number of compositions created by world famous composers like L Kohler, S.C Foster among others, and folk music from countries as varied as England, Japan, America, Spain, etc. 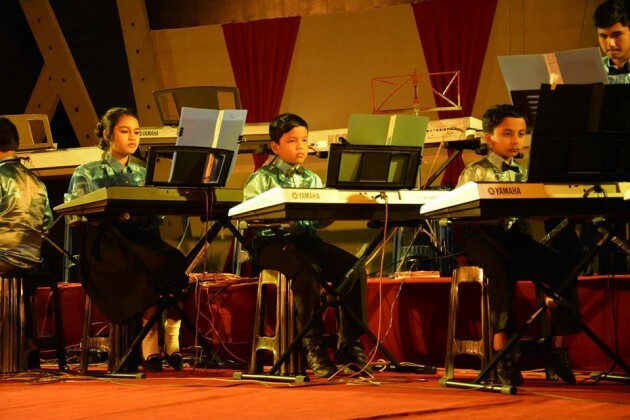 The much acclaimed musician and the institute’s principal, Kushal Krishna Dev Goswami has incorporated a solid set of traditional music, lush ballads, and various other classical compositions in his staff notations that reflect a wide variety of musical influences. It was quite a sight to see scores of exuberant trainees who were being bundled into seven groups. 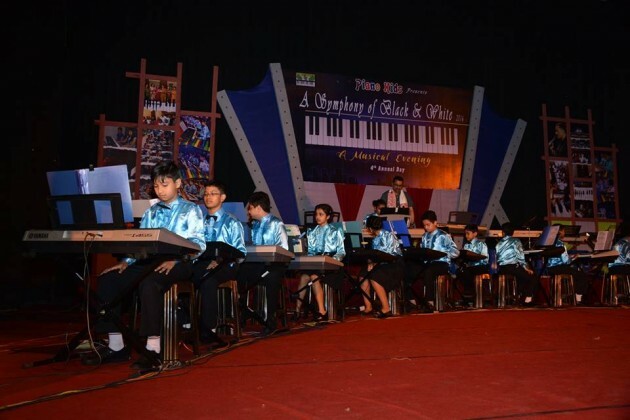 The junior trainees were divided into four groups – Violet, Indigo, Blue and Green group, while the senior trainees were splitted into Yellow, Orange and Red groups. 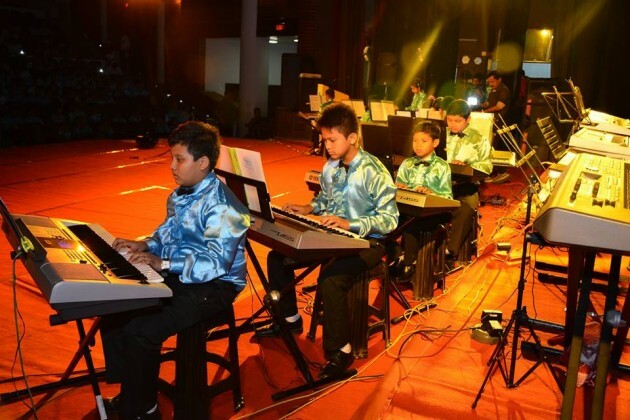 A duet piano collaboration between students Prajwal Aditya and Monmoy Aditya was warmly applauded by the audience. 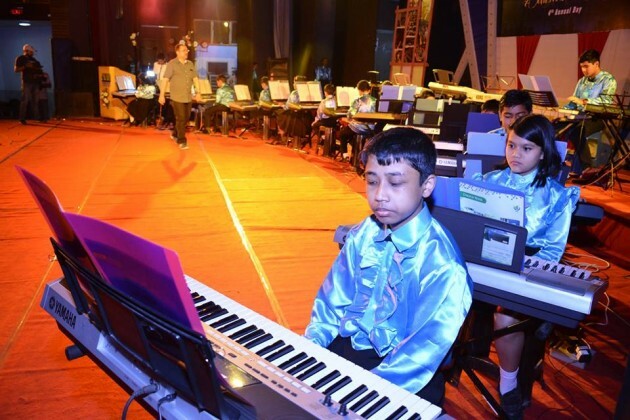 A highlight of the evening was a solo performance by Kaushik Amar Das who displayed exemplary agility and exuberance in the composition ‘Leg Breaker’. The cultural show, organised by a committee comprising mostly of guardians of the students, kept the audience engaged and excited right from the very beginning. Fashion designer Garima Saikia Garg and former Miss North East Stuti Choudhury also gave a good account of themselves as hostesses of the evening. It has to be mentioned that Piano Kids, dedicated to developing and promoting piano music in the State, has been working relentlessly for the preservation of the Borgeets written by Srimanta Sankardev and Madhabdev, the tunes of Kirtan Ghosha and Naamghosha, in addition to Oja pali, Zikir and Jaris by Ajan Faquir and music from other parts of the Northeast through staff notations. Piano Kids is committed to bringing traditional music to the widest possible audience, especially young people. 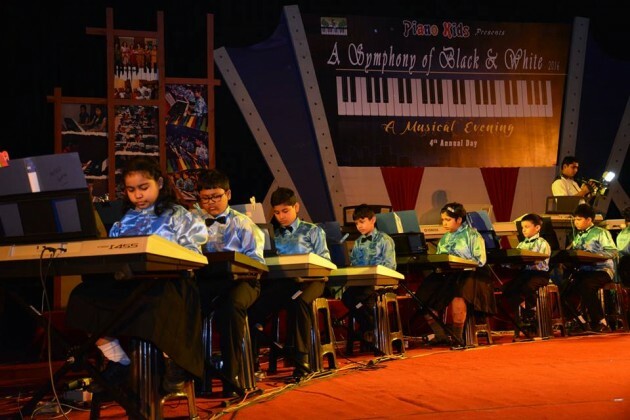 Established in the year 2012, this well-known institute has been disseminating knowledge to children and adolescents under the supervision of prominent piano exponent Father J. Williams, and the guidance of Kushal Krishna Dev Goswami, on the basis of the guidelines of the five-year syllabus of legendary John Thompson which is recognized by the renowned Trinity College of Music, London. 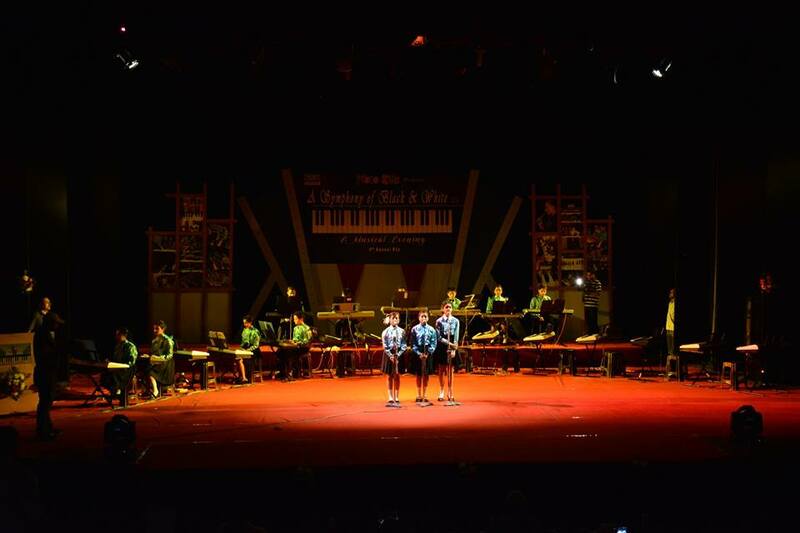 The more years the trainees spend immersed in making music, the more their sensibilities will likely be refined as they master their craft. 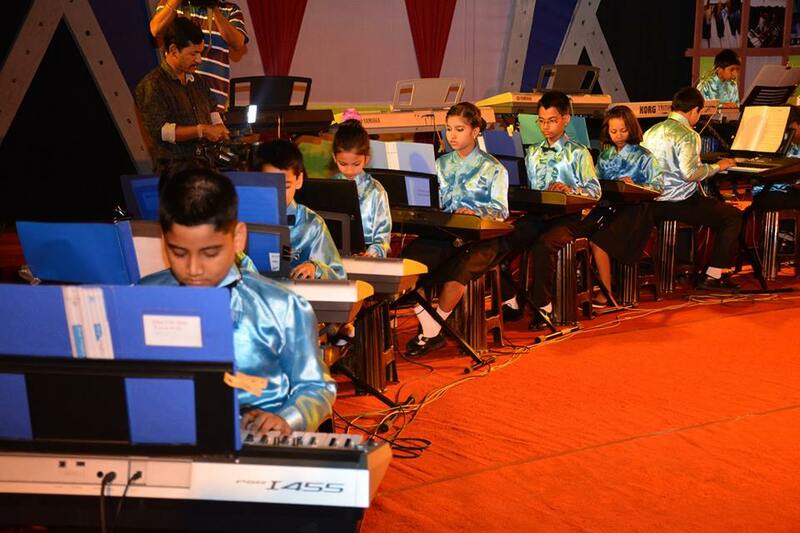 Along with training the young ones to be skilled piano and keyboard players, Piano Kids also seeks to imbue values into its students, so that they grow up to be good and responsible citizens of the society and the country. 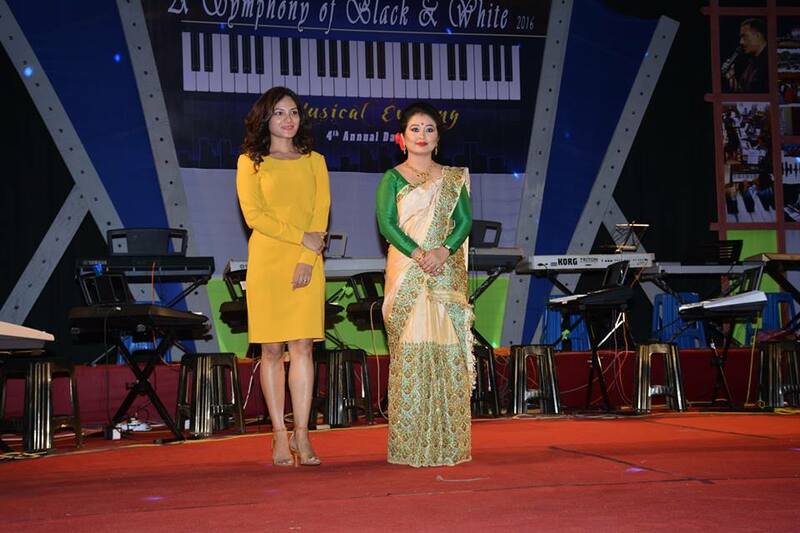 The evening also witnessed the felicitation of Mumbai based renowned musician Dhrubajyoti Phukan who graced the occasion as the chief guest. Among other guests, eminent personalities like Commissioner of Industries and cultural activist Swapnanil Barua, Secretary, Tourism Lalit Gogoi, retired DC A. Absar Ali Hazarika, child specialist Dr Prakritish Bora among others also graced the occasion with their august presence.